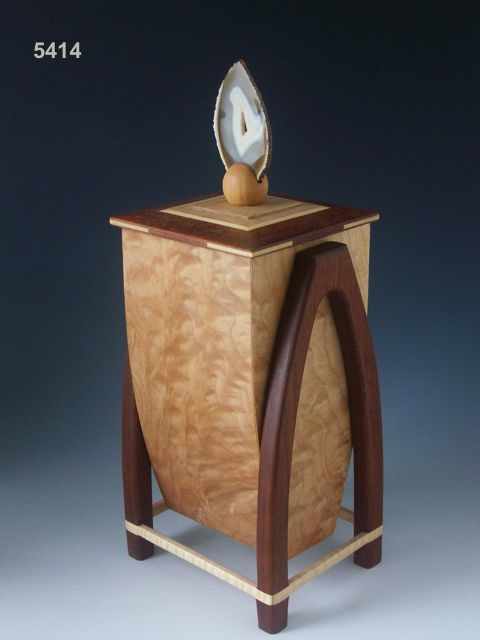 These handmade wood cremation urns are designed to be decorative pieces that add tasteful elegance without looking like an urn. 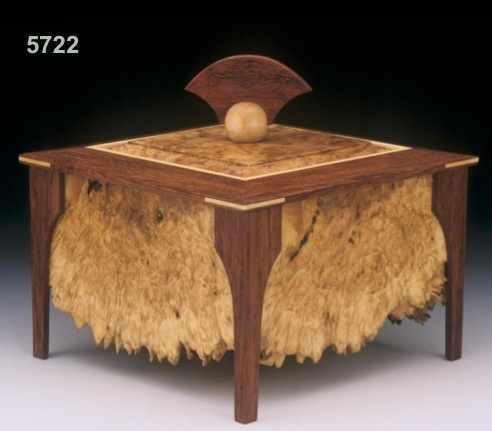 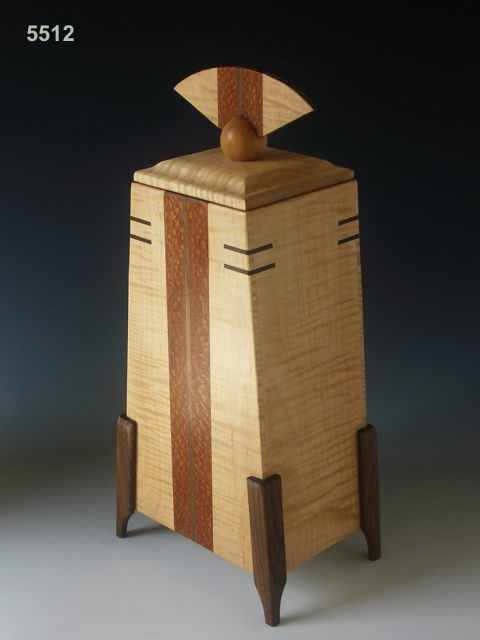 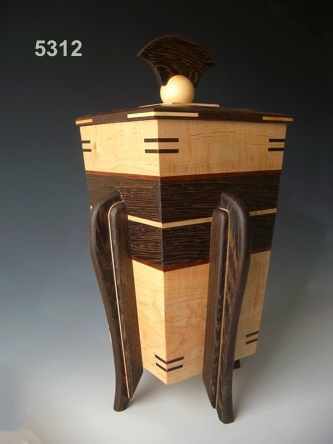 These handcrafted cremation urns are made of exotic woods from the U.S. and around the world. 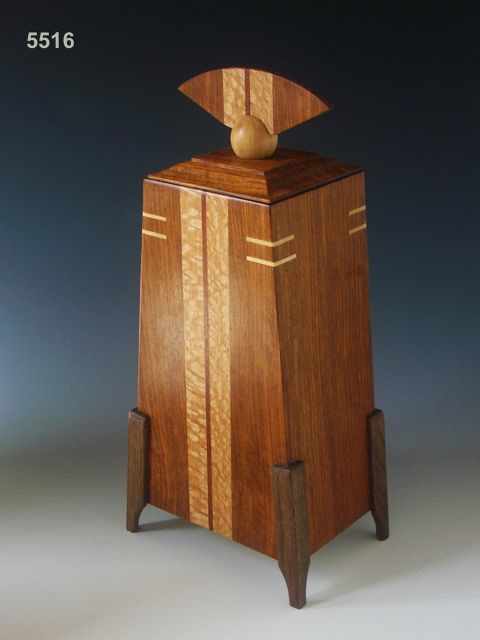 The creative designs result in beautiful decorative urns that can honor the loved one you've lost. 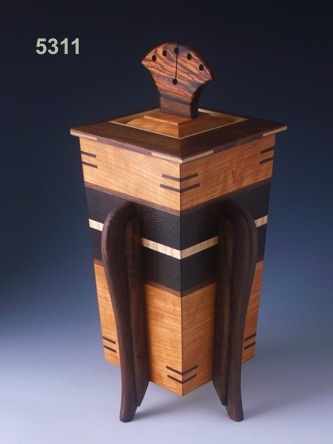 Many mass-produced urns look cheap and impersonal; these artistic vases can be displayed in your home without the overbearing appearance of many urns. 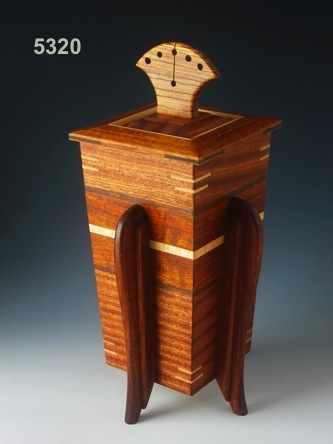 I also have burial urns that are shaped more like a box or a chest. 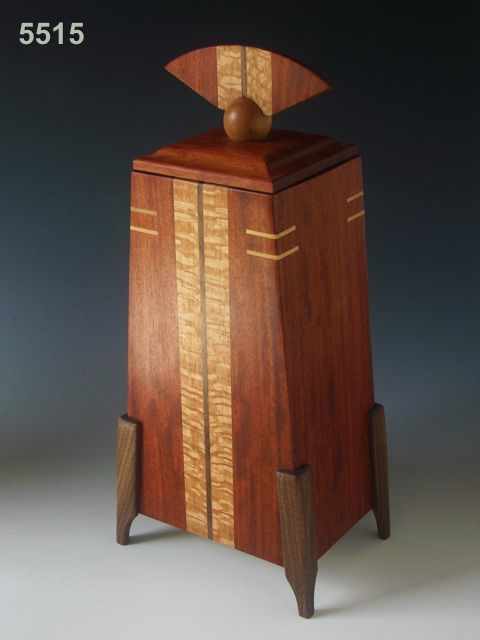 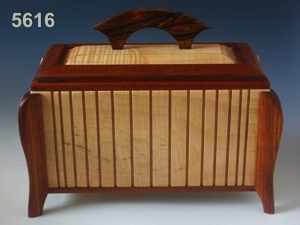 Some of my designs also work as memorial urns, in which you can store special keepsakes. 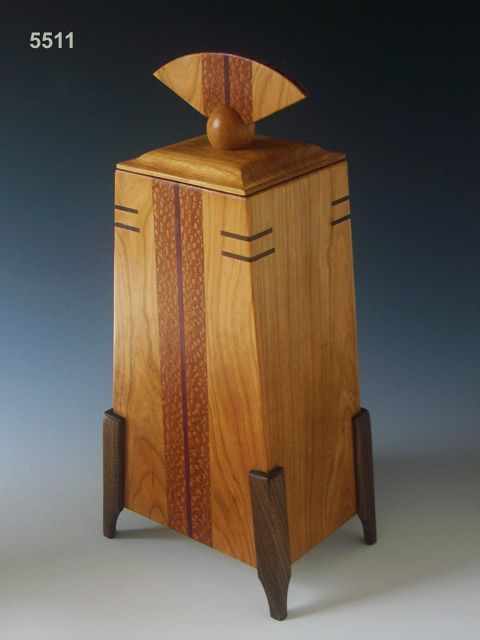 For other urn designs, including burial urns and memorial urns, click on the images below.